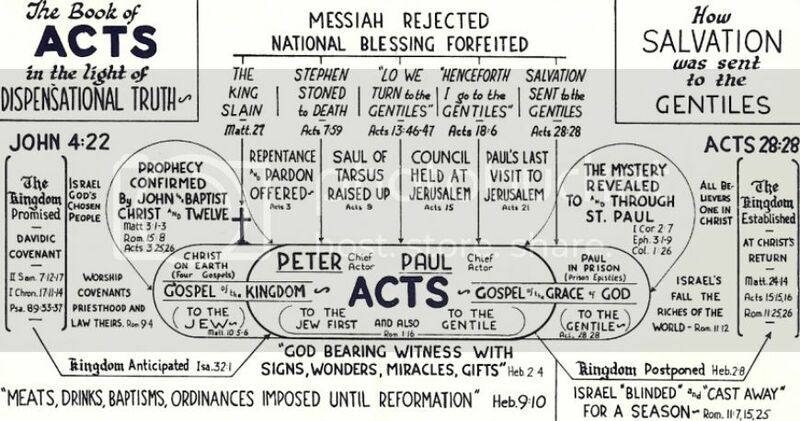 This Bible Study Rules Chart illustrates that Salvation was to have gone...and WILL some day go...to the Gentiles THROUGH Israel, with The LORD Jesus Christ as King on Earth. Also, this Bible Study chart shows how, for the present Dispensation of Grace, Salvation has gone to the Gentiles APART from Israel, ENTIRELY on the basis of the meritorious death of the LORD Jesus Christ. This Bible Study chart explains the difference between, the Gospel of the Kingdom and the Gospel of the Grace of God...between PROPHECY and The MYSTERY...and between The Kingdom of Heaven and The Body of Christ. 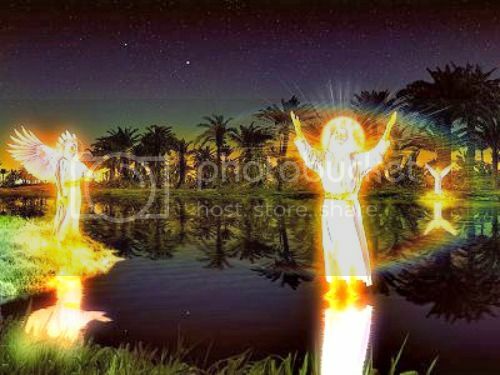 Daniel 12:5-7, "Then I Daniel looked, and, behold, there stood other two, the one on this side of the bank of the river, and the other on that side of the bank of the river. And one said to the man clothed in linen, which was upon the waters of the river, 'How long shall it be to the end of these wonders?' And I heard the man clothed in linen, which was upon the waters of the river, when he held up his right hand and his left hand unto heaven, and sware by him that liveth for ever that...'it shall be for a time, times, and an half; and when he shall have accomplished to SCATTER THE POWER OF THE HOLY PEOPLE, all these things shall be finished.'" What is this "power" of the "holy people" that needs to be scattered or crushed? And don't overlook that this crushing is done by the Antichrist. Let's have a great discussion on this. This Bible Study Chart illustrates how God's purpose concerning the present Dispensation was a "Mystery" or secret, "hid from ages and from generations" until it was revealed by the RISEN, Glorified, LORD Jesus Christ TO the Apostle Paul. According to Old Testament scripture the Tribulation period was to immediately follow Pentecost, but, by the Grace of God, it did NOT follow immediately, for when sin had risen to it's height, God, through the Apostle Paul, made known His eternal purpose concerning this present Dispensation of Grace and the formation of the Body of Christ. 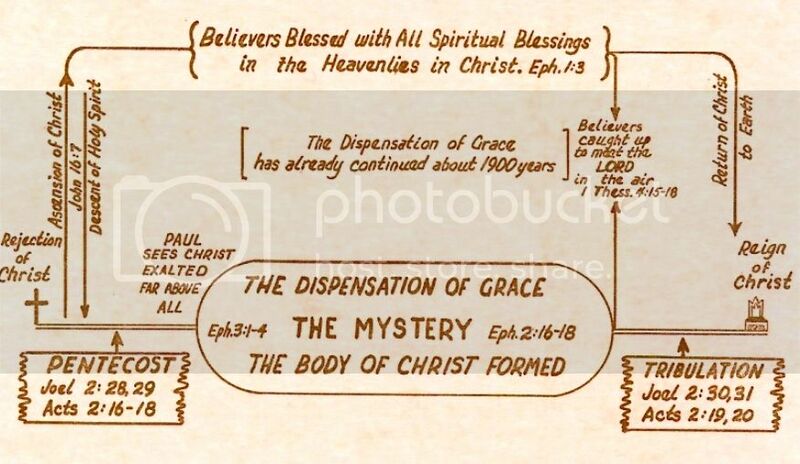 This Bible Study Chart illustrates the position and Hope of the Church of this Dispensation of Grace, the Body of Christ. It shows how God interrupted the prophetic program and "wedged" or "sandwiched" The Dispensation of Grace BETWEEN the pouring out of His Spirit at Pentecost and the pouring out of His Wrath in the Tribulation to come. "What must I do to be saved?" Acts 16:30...“What does it mean to believe on the Lord Jesus Christ?” It is certainly true that Christ Himself must be the object of our faith (Acts 16:31), but Paul makes it abundantly clear that we must believe something ABOUT Christ in order to be saved. That is, faith in Christ includes believing correctly about His PERSON and His WORK. And to believe means: that upon which a man or woman is prepared to act. Or to put it more simply: believe is to accept as true, to accept as real! 1 Corinthians 15:1-4 defines the gospel in its simplest form. In verse one, Paul states, “…I declare unto you the gospel which I preached unto you….” Then, in verses three and four, he states what it was he had preached unto them: “For I delivered unto you first of all that which I also received, how that Christ died for our sins according to the scriptures: And that He was buried, and that He rose again the third day according to the scriptures.” The statements in verses five and six about Christ being seen of Peter and others are not more items to be included as “the gospel,” but rather, evidence supporting the fact “that he rose again the third day.” Paul simply expands on this point because the resurrection was the part of the gospel that some of the Corinthians had denied (1 Cor. 15:12). It should be noted that Paul included all three of these elements in his first recorded sermon after being officially sent on his first missionary journey. Acts 13:28-30 says, “And though they found no cause of death in him, yet desired they Pilate that he should be slain (vs. 28-the DEATH of Christ). And when they had fulfilled all that was written of Him, they took Him down from the tree, and laid Him in a sepulchre (vs. 29-the BURIAL of Christ). But God raised Him from the dead (vs. 30-the RESURRECTION of Christ).” Then, as he does in 1 Corinthians 15, Paul goes on to expand on the resurrection (Acts 13:31-37). Paul’s other recorded sermons follow a similar approach, where the death of Christ may be mentioned, but the emphasis is on the resurrection. “Because he hath appointed a day, in the which he will judge the world in righteousness by that man whom he hath ordained; whereof he hath given assurance unto all men, in that he hath RAISED HIM FROM THE DEAD” (Acts 17:31). Does this emphasis on the resurrection mean that the death of Christ is unimportant? Don't be daft! But the careful student of Scripture will notice an interesting pattern here. When expounding the basis of salvation to believers (for example, in the book of Romans), Paul goes into great detail explaining the death of Christ, for it IS the shed blood of Christ which pays the price of our sin (Rom. 3:24-25). But when preaching to the lost, Paul mentions the death and burial of Christ (as in Acts 13:28-29) but then leans heavily on the resurrection when pressing home his point (see Acts 13:30-37; and then Acts 17:18,31; 23:6; 24:15,21; 25:19; 26:8). This is not without design. It is not that difficult to believe that someone died. It is not even that difficult to believe that someone died for another person’s sins. Innocent people have died in the place of another throughout history. But to believe that Someone rose again from the dead is a hurdle which the lost have a hard time crossing: “And when they heard of the resurrection of the dead, some mocked: and others said, We will hear thee again of this matter” (Acts 17:32). This is surely why God has established not only faith in the death of Christ, but also in His resurrection as part of the gospel message. And indeed, Paul DOES associate belief in the resurrection with salvation: “But for us also, to whom it shall be imputed, if we believe on him that RAISED UP JESUS OUR LORD FROM THE DEAD” (Rom. 4:24). “That if thou shalt confess with thy mouth the Lord Jesus, and shalt believe in thine heart THAT GOD HATH RAISED HIM FROM THE DEAD, thou shalt be saved” (Rom. 10:9). While few would question the necessity of believing that Christ died for our sins AND that He rose from the dead, believers have sometimes questioned the necessity of believing that Christ was buried. In the same breath, we would propose that this is almost a “moot point,” for we have never yet met a true believer who denied that Christ was buried. However, it is my conviction that the burial of Christ is not unimportant in any way. Secondly, the burial is proof that Christ actually died. And since it is essential to believe that Christ really died for our sins, believing that He was buried serves to confirm this fact. Thirdly, the burial of Christ signifies an important aspect of our salvation: the putting away of sin. This truth is vividly illustrated in Scripture. The first mention of burial in the Bible is Genesis 23:4 where Abraham says, concerning Sarah after her death, “that I may bury my dead out of my sight.” Peter writes that Christ “bare our sins in His own body on the tree” (1 Pet. 2:24). It was that sin-laden body that was buried in the tomb. Why? To put those sins “out of sight” forever! This significance of the burial of Christ is also illustrated in the feasts of Israel recorded in Exodus 12 and Leviticus 23. The FIRST feast, “the passover,” illustrates the death of Christ, “For even Christ our passover is sacrificed for us” (1 Cor. 5:7). The THIRD feast, “firstfruits” illustrates the resurrection of Christ, “But now is Christ risen from the dead, and become the firstfruits of them that slept” (1 Cor. 15:20). But what does the SECOND feast, “unleavened bread” signify? It clearly signifies the putting away of sin, and corresponds to the burial of Christ. “Therefore, let us keep the feast, not with old leaven, neither with the leaven of malice and wickedness; but with the unleavened bread of sincerity and truth” (1 Cor. 5:8). When observing the feast of unleavened bread, the Old Testament Israelite was to remove all leaven from the home (Exodus 12:15). Likewise, when Christ was buried, He removed from God’s sight all those sins He had paid for on the cross. Praise the Lord for the burial of Christ! Finally, the burial of Christ is important enough to deserve mention as part of the great “identification” passage of Romans 6:3-4. As Paul says, we are “buried with him by baptism into death: that like as Christ was raised up from the dead by the glory of the Father, even so we also should walk in newness of life.” Christ obviously rose without sin, leaving our sins in the grave. Likewise, we should identify with Christ in a practical way by leaving our life of sin behind. We can do this by reckoning ourselves to be dead indeed unto sin. Being “dead indeed” includes death AND burial (Rom. 6:4). In this dispensation, God has clearly included the burial and resurrection of Christ along with His death as a part of “the gospel” (1 Cor. 15:1-4), as I said previously. It is God who has set these terms as the content of our faith in order to be saved. This is the METHOD of salvation in this dispensation of grace. Now, to the dear lost soul who may have come across this message, I beg you, in Christ’s stead, be ye reconciled to God. Believe the message “that Christ died for your sins according to the scriptures, and that He was buried, and that He rose again the third day according to the scriptures” (1 Cor. 15:3-4). This is the Gospel! Because of the prayer of Christ on the cross (Luke 23:34), and because Christ's death had to be AS it was, and WHEN it was, by God's eternal decree and purpose, (Acts 3:18; Acts 4:25-28; Acts 2:22; 1 Peter 1:18-20), God was willing to forgive Israel's murder of Christ (Acts 7:51-54) on the ground of ignorance. (Acts 3:12-17). Some of the Israelites DID repent. But the rulers and the nation as a whole would not. Later, from the Nation Israel, God had a remnant according to the election of Grace, and "The rest were blinded." (Romans 11:5-12). Israel stumbled over the Stumbling stone. (Romans 9:32-33). "For they, being ignorant of God's righteousness, and going about to establish their own righteousness, have not submitted themselves unto the righteousness of God. For Christ is the END OF THE LAW for righteousness to everyone that believeth.' (Romans 10:3-4). Israelites, with the exception of a few Hebrew Christians, are STILL blind and still ignorant of God's righteousness. But a very large percentage of the Gentiles, including millions who are church-members, are just as ignorant as were, and are, the blind Jews. They prefer to endeavour to establish their own righteousness with God, which is impossible, rather than have the righteousness of God established by Christ. (2 Cor. 5:21). This righteousness by the Faith is available for any Gentile or Jew. Because the rulers of this world were ignorant, they crucified Christ. (1 Corinthians 2:7-8). The natural man, even though cultured and exceedingly religious, is ignorant of spiritual things. They are foolishness unto him. (1 Corinthians 2:12-14; John 3:1-13). Spiritual things are not revealed to the wordly wise, "the wise and the prudent"; but "unto babes and sucklings." THIS is God's way, (Luke 10:21, 1 Corinthians 1:27-31). When religious Christians are wise in their own conceits, the Holy Spirit cannot teach them this wonderful truth, which must be understood, if we are to know what God is now doing and what He will do in another age. 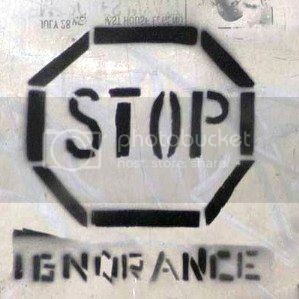 Why does the Holy Spirit say in 1 Thessalonians 4:13, "I would not have you ignorant"? Because He knew that religious sectarians, or denominationalists, would have their own creeds and programs, and that the truth of God concerning the Glorious Rapture of the Church would or could have no place in them. So WHY? 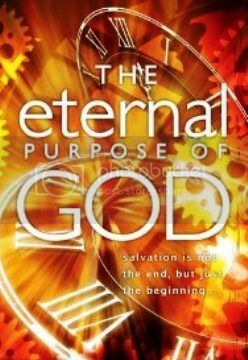 Why do the majority of even the most spiritual Christians NOT obey Ephesians 3:9, where we read, "And to make all men see what is the Dispensation of the Mystery, which from the beginning of the world hath been hid in God"? Because they have, more or less, of Judaism in their programs, which they cherish more than an obedience to Ephesians 3:9, most Christians will not obey Ephesians 3:9 and Ephesians 1:16-18. Now you know! Only as we understand the first mystery of Romans 11:25-33 can we begin to understand the Mystery of Christ in Ephesians and Colossians. We must know the truth of Romans 11:30, that Gentiles received God's mercy because of NATIONAL Israel's unbelief. Salvation was sent to Gentiles, when and because of the fall of Israel. (Romans 11:11). Now here is a point that needs to be hammered home...Israel had not fallen, or been set-aside at the time Peter preached to Cornelius. Now, if those Christians, mentioned previously, are NOT ignorant of the prayers of Ephesians 1:16-18; Ephesians 3:14-19; Ephesians 6:19-20 and Colossians 4:3-4, then they are WILLFULLY shutting out the light which comes with receiving the Spirit of Wisdom and Revelation for this special Glorious Truth! Is the Water Baptism of a Believer a Testimony, and a Witness to the World? “IF YE THEN BE RISEN WITH CHRIST, SEEK THOSE THINGS WHICH ARE ABOVE, WHERE CHRIST SITTETH ON THE RIGHT HAND OF GOD. SET YOUR AFFECTION ON THINGS ABOVE, NOT ON THINGS ON THE EARTH. FOR YE ARE DEAD, AND YOUR LIFE IS HID WITH CHRIST IN GOD. WHEN CHRIST, WHO IS OUR LIFE, SHALL APPEAR, THEN SHALL YE ALSO APPEAR WITH HIM IN GLORY. MORTIFY THEREFORE YOUR MEMBERS WHICH ARE UPON THE EARTH; FORNICATION, UNCLEANNESS, INORDINATE AFFECTION, EVIL CONCUPISCENCE, AND COVETOUSNESS, WHICH IS IDOLATRY.” Colossians 3:1-5. The believer is to witness to the world that he is NO LONGER dead IN sin but that he is dead TO sin. Quite frequently a believer permits another believer to put him in water, or to put water on him, being persuaded by the baptizer that this should be done as a witness to the world. That water ceremony may satisfy the baptizer, but there is NO PROOF whatever that the baptized person will walk in newness of life. Neither is there one verse of Scripture to support his witness to the world theory. That water ceremony, that baptism, will not help the believer, in any way, to walk in newness of life. Neither does that water ceremony convince any sinner that a Divine transformation has taken place in the baptized person’s life. Now pay attention, in Luke 3 we see John preaching a baptism of repentance for the forgiveness of sins (Luke 3:3). In Luke 3:21-22 we read that Jesus was baptized with water. Surely it wasn't for the forgiveness of sins, as John was preaching, for we read in the first portion of 2 Cor. 5:21, "Him who knew no sin." Jesus, while on earth, was God in the flesh who NEVER sinned. He needed neither to repent (turn) from sin, nor to be forgiven of any sin. Also, some have said that Matthew 3:15 implies that through water baptism Jesus was being identified with mankind. However, that was accomplished in Bethlehem. We read in Luke 2:41-52 that Jesus at age 12, under the Law of the Passover Feast, was at Jerusalem in His Father's House, listening and talking to the teachers. Wouldn't Jesus have had enough understanding at 12 years old to have been baptized, IF baptism was for a public testimony of His faith? But Jesus Himself gave the reason He was being baptized in Matthew 3:15, when He told John the Baptist to "Permit it to be so now for thus it is fitting for us to fulfill all righteousness." So, in accordance with The Law given to Moses, Jesus was thirty years old at the time He was baptized, as we read in Luke 3:23, "And when He began His ministry Jesus Himself was about 30 years of age." The Scriptures teach us that at His,(Jesus'), baptism we see Him coming as High Priest TO the Kingdom of Priests: the Nation of Israel, "And you shall be to Me a kingdom of priests and a holy nation. These are the words which you shall speak to the children of Israel" (Exodus 19:6). "But you shall be named the priests of the LORD, They shall call you the servants of our God. You shall eat the riches of the Gentiles, and in their glory you shall boast" (Isaiah 61:6). In the New Testament we read in the writings of the Apostle Peter, who in his own words was "an apostle of Jesus Christ, to the Pilgrims of the Dispersion" (1 Peter 1:1), "But you are a chosen generation, a royal priesthood, a holy nation, His own special people, having your conduct honorable among the Gentiles" (1 Peter 2:9, and 1 Peter 2:12). PAY ATTENTION, when priests were ordained, The Law prescribed certain rituals to be followed, including the ritual of washing them with water, or baptism (Exodus 29:4). That ceremonial washing was performed at the baptism of Christ. The following Scripture verses from Numbers 4 require all those who perform the service or the work in the tabernacle to be 30 years old: Numbers 4:3, Numbers 4:23, Numbers 4:30, Numbers 4:35, Numbers 4:39, Numbers 4:43, and Numbers 4:47. Hebrews 3-10, and Psalm 110:4 tell how God the Father designated His own Son the Perfect High Priest according to the order of Melchizedek. Jesus also had a second Baptism which He spoke of in Mark 10:38-39, "But Jesus said to them, You do not know what you ask. Are you able to drink the cup that I drink, and be baptized with the baptism that I am baptized with? They said to Him, We are able. So Jesus said to them, You will indeed drink the cup that I drink, and with the baptism I am baptized with you will be baptized". The Lord Jesus Christ was approximately 33 years of age when according to 2 Cor. 5:21, "He who knew no sin, became sin on our behalf, that we might become the righteousness of God in Him." (Hebrews 9:10-15, Hebrews 9:26; Hebrews 10:10-13). By His own death upon the Cross for mankind's sins, Christ was identified with death and died in our place, was buried in our place, and arose from the dead (Hebrews 9:11-12) to offer His OWN blood in God's Tabernacle in Heaven as a propitiation or satisfaction to God, and sat down at the right hand of God (Hebrews 10:12). You or I could never follow our LORD in this Baptism. What you have to realize is that the traditions of man have us following old covenant commands to the Nation of Israel while ignoring commands from the RISEN Lord Jesus Christ to the Apostle to the Gentiles, Paul. The Apostle Paul said in 1 Corinthians 1:17, "For Christ did NOT send me to baptize, but to preach the gospel, not with wisdom of words, lest the Cross of Christ should be made of no effect." Under the old covenant, the laws of Baptisms were established in Exodus 29:4 when Aaron was washed or baptized with water (Leviticus 8:6; Leviticus 16:4, Leviticus 16:30; Leviticus 22:6-7). Before we go any further, if you haven’t already, please read Mark 16:14-18; 1 Corinthians 12:8-11; and 1 Corinthians 12:28, now. I want to stress that we have, in Mark 16:14-18, a message that has perhaps caused more unpleasant divisions and ungracious controversy among Christians than any other part of the Bible. Let’s quote again what Christ commanded, “Go ye into all the world, and preach the gospel to every creature. 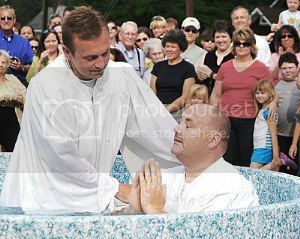 He that believeth and is baptized shall be saved; but he that believeth not shall be damned. And these signs shall follow them that believe; In My name shall they cast out demons; they shall speak with new tongues; They shall take up serpents; and if they drink any deadly thing, it shall not hurt them; they shall lay hands on the sick, and they shall recover.” (Mark 16:15-18). The C of C's and Lutherans do not revise the first part of the command. But the C of C's and the Lutherans differ most radically in obeying Mark 16:16. The Lutherans teach that the infant son or daughter of Lutheran parents should be baptized. They teach that faith, without sprinkling, will not save; that sprinkling, without faith, will not save. The combination is required. But they agree that the infant cannot believe. Well in that case, if the parents BELIEVE for the infant why not let the parents be BAPTIZED for the infant? 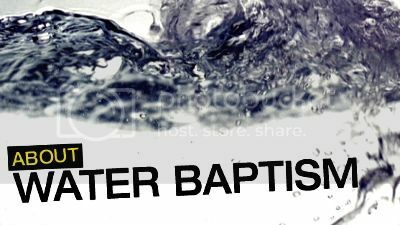 The Church of Christ denomination members contend that sprinkling is not being buried by baptism in obedience to Romans 6:4, and they teach that no person has, “obeyed from the heart that form of doctrine delivered you” (Romans 6:17) unless that person is born of the water, by being buried under the water. (John 3:5). They stick to the order, “he that believeth and is baptized shall be saved.” This is called baptismal regeneration. IF water baptism is a factor in the believer’s salvation, THEN the Grace message of Ephesians 2:8-9 is not true. For there, in those verses, salvation is NOT of yourselves. IF water baptism helps to save a person, THEN the Apostle Paul, in 1 Corinthians 1:14-17, thanked God that He helped to save a very few! And yet in the same Epistle (1 Corinthians 9:21-25) the same Paul became all things to all men that he might save some. Did Paul thank God he had helped only a few to witness by water? No, that's ridiculous! Now the Pentecostals are at least a little more consistent than the Lutherans and the Disciples. The Pentecostals claim that, in their message and program, they proclaim the full gospel, that is, they neither revise nor abridge Mark 16:14-18, or 1 Corinthians 12:8-11, where the sign gifts are found. They teach faith, water salvation, Holy Spirit baptism, tongues, healing, poison-drinking, snake handling, raising-the-dead, casting out demons and all the miracles, even greater works than Christ performed. (John 14:12). But when they put this into practice, they miserably fail, and it is not for lack of faith or zeal or sincerity or trying. Realize this, IF Acts 2:38 and Mark 16:16 is our Gospel for this Age of Grace, THEN Titus 3:5-8 is not, and THAT is ridiculous! So, take the time to compare them. You see, it’s only as we study the Four Gospels and the Book of Acts in light of Ephesians 2:8-10, and Ephesians 3:1-11 can we know God’s salvation message and program for this parenthetical Age of Grace. 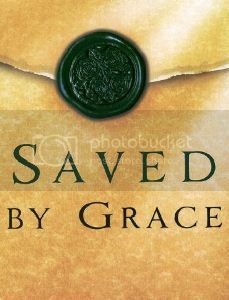 The RISEN Christ gave to the Apostle Paul The Mystery with the Gospel of Grace, RATHER than The Law as He did to Moses. God sent Paul to the Gentiles (Ephesians 3:1-9) and did NOT send him to baptize (1 Corinthians 1:17). Instead, according to Ephesians 4:5, there is ONE baptism for today, 1 Corinthians 12:13, "For by ONE Spirit we were all baptized into ONE Body, whether Jews or Greeks, whether slaves or free, and have all been made to drink into ONE Spirit." The Holy Spirit performs this Baptism, NOT an apostle, deacon, or pastor. And notice that it is not a baptism with water, but a baptism into The Church of the Mystery, The Church of the Dispensation of Grace, The Body of Christ. First let’s turn to and read Micah 4:8, and then Micah 5:2 , here’s what it says “And thou, O tower of the flock, the strong hold of the daughter of Zion, unto thee shall it come, even the first dominion; the kingdom shall come to the daughter of Jerusalem” Now, Micah 5:2 “But thou, Bethlehem Ephratah, though thou be little among the thousands of Judah, yet out of thee shall he come forth unto me that is to be ruler in Israel; whose goings forth have been from of old, from everlasting” Now turn to Matthew 2:4-6 and let’s read what the Magi said to Herod. Here’s what it says “And when he had gathered all the chief priests and scribes of the people together, he demanded of them where Christ should be born. And they said unto him, In Bethlehem of Judaea: for thus it is written by the prophet Micah, And thou Bethlehem, in the land of Juda, art not the least among the princes of Juda: for out of thee shall come a Governor, that shall rule my people Israel." Josephus refers to a census in 6 AD when Quirinius was the governor, Egyptian records state that a census was done by Rome every 14 years, and took several years to accomplish. Herod the Great was alive at the birth of the Messiah. The problem of the timing of Herod the Great’s death is related to a remark by Flavius Josephus. Josephus recorded an eclipse on March 13, 4BC which he said was “shortly before Herod died.” However, the actual date of the eclipse was December 29, 1 BC. 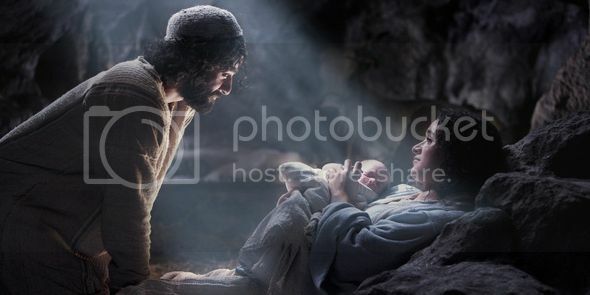 And then time between the birth of the Messiah and Herod’s death is necessary since Joseph and Mary with the baby Jesus Christ fled to Egypt and did not return until after Herod’s death, due to the massacre of the children at Herod’s orders. Herod the Great died on January 14, 1 BC. Tertullian said that the birth of Jesus Christ was 41 years after Augustus began his rule, and died 15 years after the birth. The death of Augustus was August 19, 14 AD. Tertullian also said that Jesus Christ was born 28 years after the death of Cleopatra who died in 30 BC. Irenaeus ALSO said that Jesus was born in the 41st year of the reign of Augustus. Eusebius says the same thing. The 42nd year of Augustus ran from the autumn of 2 BC to the autumn of 1 BC. Ya-hweh Yahuwshua, The LORD Jesus Christ, was most likely born on September 29, 2 BC. When the temple was destroyed by Titus on August 5, 70 AD, the first course of priests had just taken office, there are 24 courses or divisions for the Jewish Priests. The course of Abijah, John the Baptist’s father, Zacharias, was the 8th course. SO, tracing back, Zacharias would have ended his duties on July 13, 3 BC. The birth of John the Baptist would be 280 days later, April 19-20, 2BC, which was Passover that year, The birth of Jesus would have been six months later, in the fall of 2 BC. The VERY INTERESTING fact of this date is that it is Tishri 1 on the Jewish calendar, Rosh Hashanah, The Feast of Trumpets. We here at the Lion and Lamb Ministry get asked this question quite frequently, so, here is the big question that divides many Christians: Does it lie within the power of the will of man to BELIEVE the record that God gave of His Son, the LORD Jesus Christ, an accomplished redemption, a perfect salvation? So...when the Gospel of Grace is preached to the sinner, does it, ultimately, lie within the power of that person’s own will to resist or accept and BELIEVE God’s plan of Salvation? It is how we answer THIS very question that establishes what and how we understand the Fall of Man. That man, in his natural state, is fallen...to this the great majority of Christians will agree. Romans 5:12 says, "Wherefore, as by one man sin entered into the world, and death by sin; and so, death passed upon all men, for that all have sinned". Now, here’s where it gets sticky. Very few today even know what “fallen” means! How far down is “Fallen”? To determine a Christians understanding of "fallen” is often a very difficult task. Now, what a good deal of religious people believe is that Man is no longer in the condition that he was in when in the Garden of Eden, "So God created man in his Own image, in the image of God created he him; male and female created he them" Genesis 1:27, "And God saw everything that he had made, and, behold, it was very good" Genesis 1:31. But now, after Man sinned, (and the Bible tells us, "But of the tree of the knowledge of good and evil, thou shalt not eat of it: for in the day that thou eatest thereof thou shalt surely die" Genesis 2:17; "And unto Adam he said, Because thou hast hearkened unto the voice of thy wife, and hast eaten of the tree, of which I commanded thee, saying, Thou shalt not eat of it..." Genesis 3:17), many of the religious have the general idea that Fallen means that man is no longer immortal, that he gets sick and contracts diseases, and that man from one generation to the next inherits evil “tendencies” and sins, BUT, that if he uses his strengths to the best of his ability, somehow, SOMEHOW, he will be able to want to accept God’s plan of Salvation, and attain eternal life in God’s Heaven. Wow! How WRONG that is! Diseases, sickness, and even death, are nothing in comparison with the moral and spiritual effects of the Fall of Man! Our conception of the terrible calamity of the Fall of Man should be based on the Holy Scriptures, and not on what we want to think or how we feel about the issue. When the Scriptures say that man is totally fallen, lost, and helpless, The Scriptures are saying that the entrance of sin into humanity has affected every part and ability of a man’s being. Psalm 51:5 tells us, "Behold, I was shapen in iniquity; and in sin did my mother conceive me", and then in Psalms 58:3, "The wicked are estranged from the womb: they go astray as soon as they be born, speaking lies". Now go to Jeremiah 17:9, "The heart is deceitful above all things, and desperately wicked: who can know it? 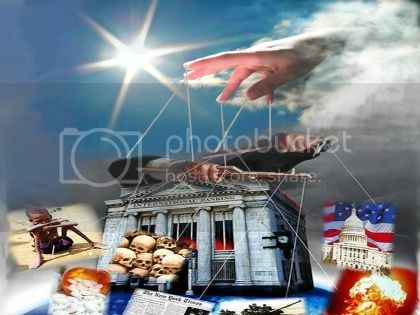 ", and Mark 7:21-23 tells us, "For from within, out of the heart of men, proceed evil thoughts, adulteries, fornications, murders, thefts, covetousness, wickedness, deceit, lasciviousness, an evil eye, blasphemy, pride, foolishness: All these evil things come from within, and defile the man". And of course Romans 3:10-11, "As it is written, There is none righteous, no, not one: there is none that understandeth, there is none that seeketh after God". As a result of all of the Fall, man is not able to attain his “dreams”, have his grand ideals materialize, and THEN hold onto them. The natural man cannot do the things that he wants. Why? Because SIN...making up the very essence of man’s being...is manifesting itself in moral inability, thereby paralyzing him and stifling his efforts. "For all have sinned, and come short of the glory of God" Romans 3:23; "Wherefore, as by one man sin entered into the world, and death by sin; and so, death passed upon all men, for that all have sinned" Romans 5:12. And most importantly, "Because the carnal mind is enmity against God: for it is not subject to the law of God, neither indeed can be. So then they that are in the flesh CANNOT please God" Romans 8:7-8; "But the natural man receiveth not the things of the Spirit of God: for they are foolishness unto him: neither CAN he know them, because they are spiritually discerned" 1 Corinthians 2:14. So, what we have before us is that Fallen Man, Natural Man, is NO Free Man, but instead, the servant of Sin and Satan. "Ye are of your father the devil, and the lusts of your father ye will do. He was a murderer from the beginning, and abode not in the truth, because there is no truth in him. When he speaketh a lie, he speaketh of his own: for he is a liar, and the father of it" John 8:44. You see, Sin is more than an act or a series of actions. Man is not a sinner BECAUSE he sins, Man sins BECAUSE he IS a sinner. Since The Fall, Sin is Man’s very make up. "The fool hath said in his heart, There is no God. They are corrupt, they have done abominable works, there is none that doeth good. The LORD looked down from heaven upon the children of men, to see if there were any that did understand, and seek God. They are all gone aside, they are all together become filthy: there is none that doeth good, no, not one." Psalm 14:1-3; "For there is no faithfulness in their mouth; their INWARD part is very wickedness; their throat is an open sepulchre; they flatter with their tongue" Psalm 5:9; "For the wicked boasteth of his heart's desire, and blesseth the covetous, whom the LORD abhorreth. The wicked, through the pride of his countenance, will not seek after God: God is not in all his thoughts. His mouth is full of cursing and deceit and fraud: under his tongue is mischief and vanity" Psalm 10:3-7. Sin has blinded man’s understanding, “there is none that understandeth”, Sin has corrupted the heart, "The heart is deceitful above all things, and desperately wicked”, and Sin has alienated the mind from God, Because the carnal mind is enmity against God”. The natural man wants the things he or she does, and man’s will chooses those things, as a result of the condition of the heart, AND because “the heart is deceitful above all things and desperately wicked" Jeremiah 17:9; “There is NONE that seeketh after God" Romans 3:11. So, we ask again, does it lie within the power of the will of man to BELIEVE the record that God gave of His Son, the LORD Jesus Christ, an accomplished redemption, a perfect salvation? The answer is NO! Man’s “will” cannot choose God, on its own. Period! Man’s will has not escaped the servitude of Sin. Man’s will is the servant of Sin and Satan. Therefore, the will is NOT free. ONLY "...where the Spirit of the Lord is, there is FREEDOM!" 2 Cor. 3:17. What is The Mystery of the Dispensation of The Mystery? Ephesians 3:9-11. Watch the video message.